Right after I received my Bachelor of Fine Arts from Design Institute of San Diego, California, I started as an apprentice in a glass studio in San Diego. I moved back home to Sweden where I started working for glass artist Richard Rackham at Eldoluft glass studio in Båstad, Sweden. After a few years I started making my own jewelry line in a technique that is quite diffrent from the traditional glass blowing, called flameworking. This technique allows me to make smaller glass items with greater precision. 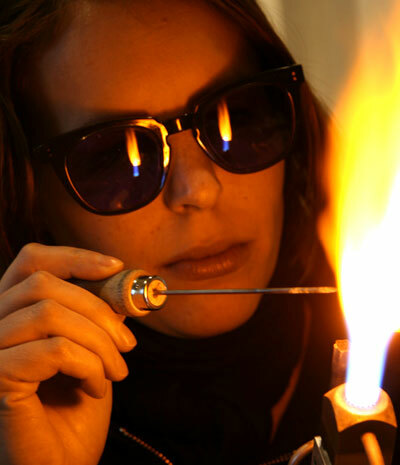 All pieces of jewelry are made free hand with the use of tools like shears, tweezers and the open flame from my torch.